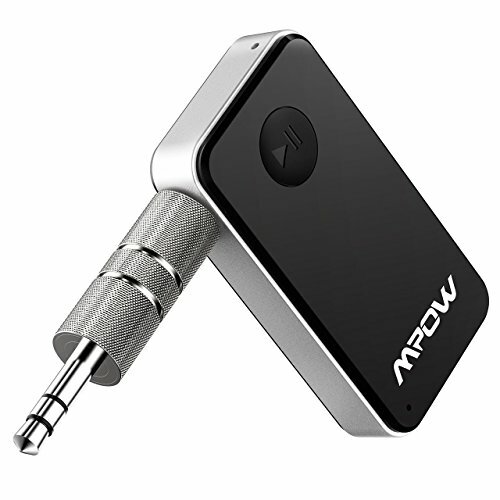 ADVANCED BLUETOOTH RECEIVER: Mpow Bluetooth Car Adapter is not only for car, also could connect with wired headphones via 3.5mm audio cable/adapter to enjoy the wireless. Patozon is the ONLY authorized seller of Mpow and enjoy our customer service. 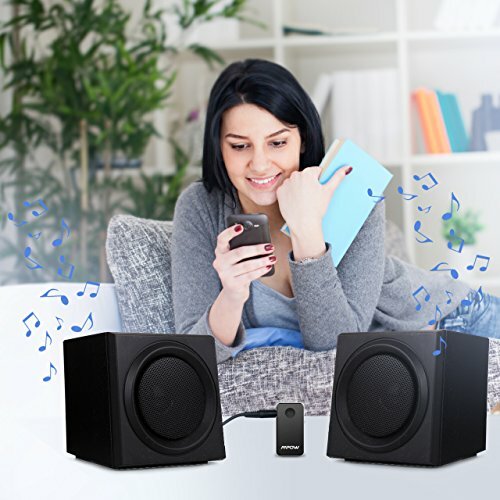 DUAL-LINK CONNECTION & WIDE COMPATIBILITY : Mpow could connect two Bluetooth devices at once and the Bluetooth range up to 30 feet in open space without obstacles.And it also could compatible with most Bluetooth enabled devices like smartphone, MP3, tablet, etc, ideal for home or vehicle audio systems. EXTRA-LONG PLAY TIME: Built-in battery provides up to 10 hours’ play and talk time, 120 hours’ standby time, only takes 1.5 hours to fully charge it. 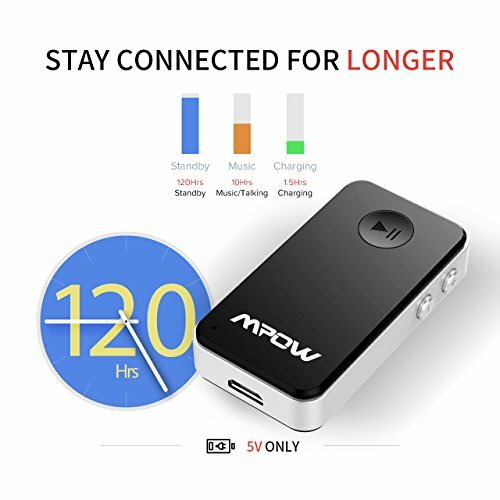 Mpow Portable Wireless Bluetooth Receiver is designed to provide a simple hands-free solution for answering and receiving phone calls while on the go. 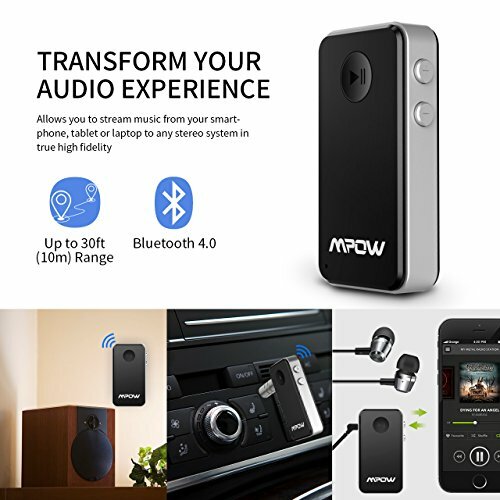 If your car stereo has no Bluetooth function;or if you are wondering how to get your songs to your car stereo,Mpow Bluetooth Receiver is right for you with its easy installation and intuitive controls.So you can enjoy your personal playlist and favorite podcast inside your car and vehicle. Note:The User Manual could be downloaded at the part of Technical Specification on the product listing page. Power on:Press the multifunction button about 3 seconds until the blue and red indicator lights start flashing alternately. Power off:Press the multifunction button about 3 seconds until the blue indicator lights goes off. 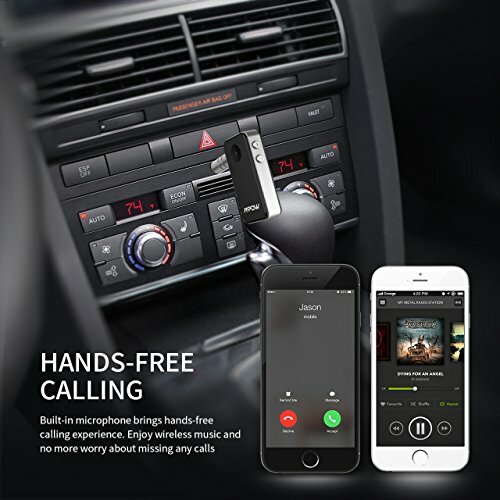 With the 3.5mm studio adapter or the 3.5mm audio cable to connect your car stereo and Mpow. (If no sound,please make sure it is inserted completely). (2)The Mpow does not turn on automatically when your car is starting.You need to turn it on manually. For the consideration of safety, please kindly do not use it when it is charging. EASY CONTROL: You can answer phone calls or control music on the receiver. Change volume, play/pause/skip music, answer calls, redial the last called number with ease. 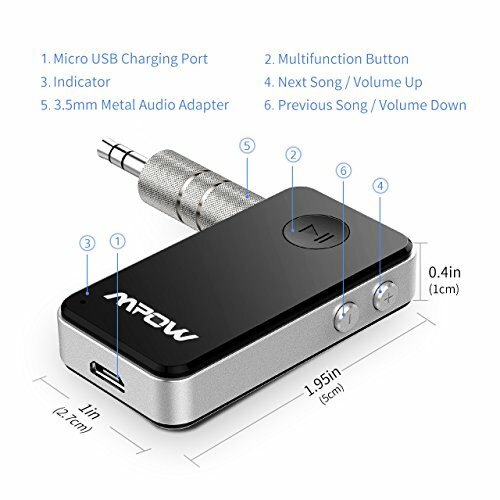 NOTE: 1.Please be sure the charging input voltage to the Mpow do not over 5V and do not use fast charger for the consideration of safety and the serve life of product;2.This receiver doesn’t turn on automatically,Please long press the ”Multifunction Button”button about 3 seconds,when it turned on the blue light will flash,then connect it with your Bluetooth devices; 3.If you want to connect to your TV by pairing the device with your headset, please search Mpow transmitter or receiver/transmitter.